A 1956 Chevy Bel Air, one family owned car. HRF is doing a total body off restoration on this car. Dave's car has come back to HRF for final assembly we are very excited to finally wrap this car up. 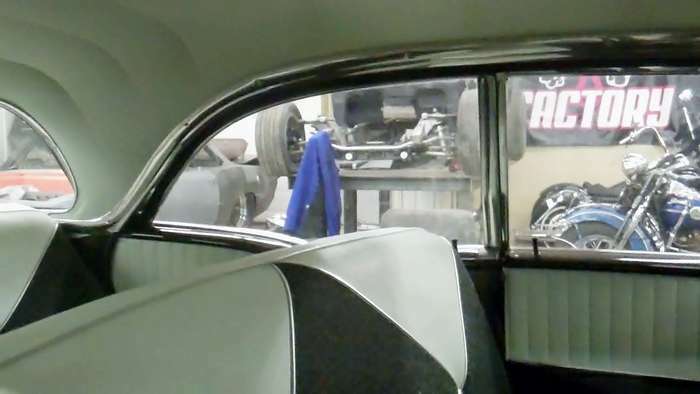 Dave has owned his father's 1956 Bel Air since the late 1970s. He wanted to have it restored and done the right way. We actually met Dave through his son who is having us restore his grandfathers 1971 Chevy Truck as well. Dave could tell by how the truck was coming along we were the guys for the job. So we picked the Bel Air up, just finished dismantling it, and it now waits to be media blasted at our hot rod car shop. This car will under go a complete body-off restoration. Check back often to see updated pictures.